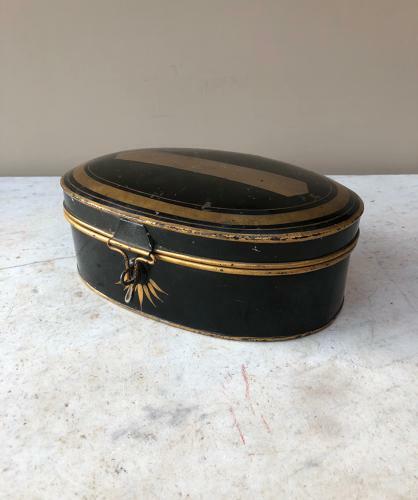 Early Victorian Toleware Wig Box. Very good clean piece. Inside the lid makers "EDE & RAVENSCROFT. LAW WIG & ROBE MAKERS. 93/4 CHANCERY LANE. LONDON.